Wondering what this is all about? 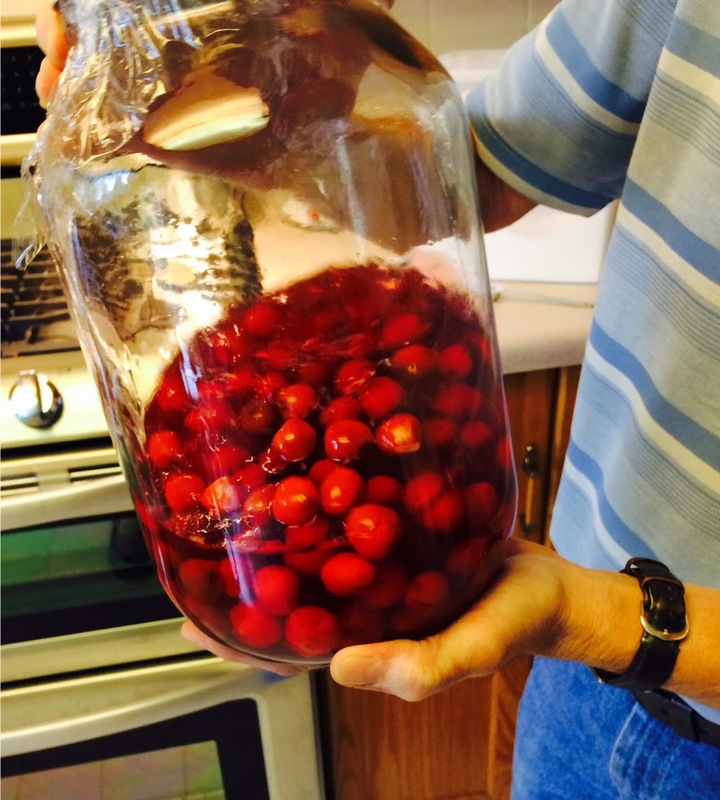 Hubby is trying out a cherry liqueur recipe using sour cherries picked from Sister's tree. Although it's a simple recipe, it does takes several months for this recipe to 'cure'. Place cherries in a jar, add vodka, cap with tight lid and mix. Stir daily during the first days, later at least once a week for 3-4 weeks. Sugar gets added at this point. There's more to the recipe here. It takes about 9 or so months till it's ready. Now... in anticipation of it being a success next winter/spring, I've been looking on the internet for some ways to use cherry liqueur. Of course cocktails and other drinks are one way. A cocktail might be nice (not that I imbibe in those too often). Although, to my way of thinking, who would want to waste it on a cocktail when one could use it for this toothsome looking Chocolate Cherry Liqueur Cake found at taste.com.au. Don't you just want to sink your teeth in this? Here's wishing you a 'chair of bowlies'! It sure does look pretty! Be sure to let us know when the cherry liquor is ready! Yummo!! Thanks for the recipes all sound so great! Oooh, cherry liqueur. I don't drink cocktails, but one of my favourite pre-dinner drinks is a kir - white wine with blackcurrant liqueur - just a tablespoon or so. I'll bet this cherry liqueur would be a wonderful variation on that theme. The cherry cake looks so. very. good. After our daughter's wedding we ended up with three partially-drunk bottles of vodka here, which I have barely started thinking about - what to do with it. Maybe some liqueur-making...? That sound marvelous! I may have to give this a try! 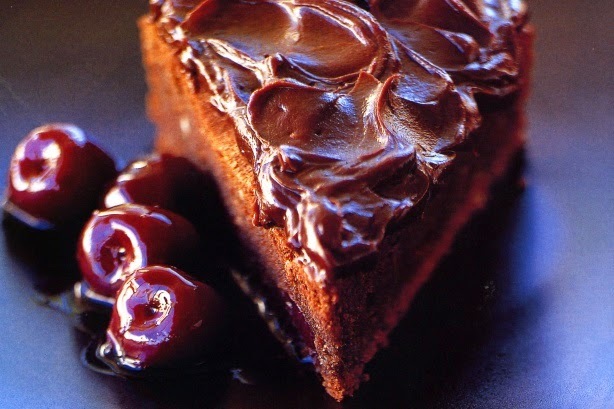 Especially with the Chocolate Cherry Liqueur Cake - total yum! Cherry liqueur sounds so nice. How fun to be able to make your own. I often think about bottling some Limoncello. The cake would be perfect with the liqueur. yummy, I like the cherry and chocolate go together part! Hope it turns out well for you.